Salary: - INR Rs. 20000/- (Post 1), Rs. 15000/- (Post 2), Rs. 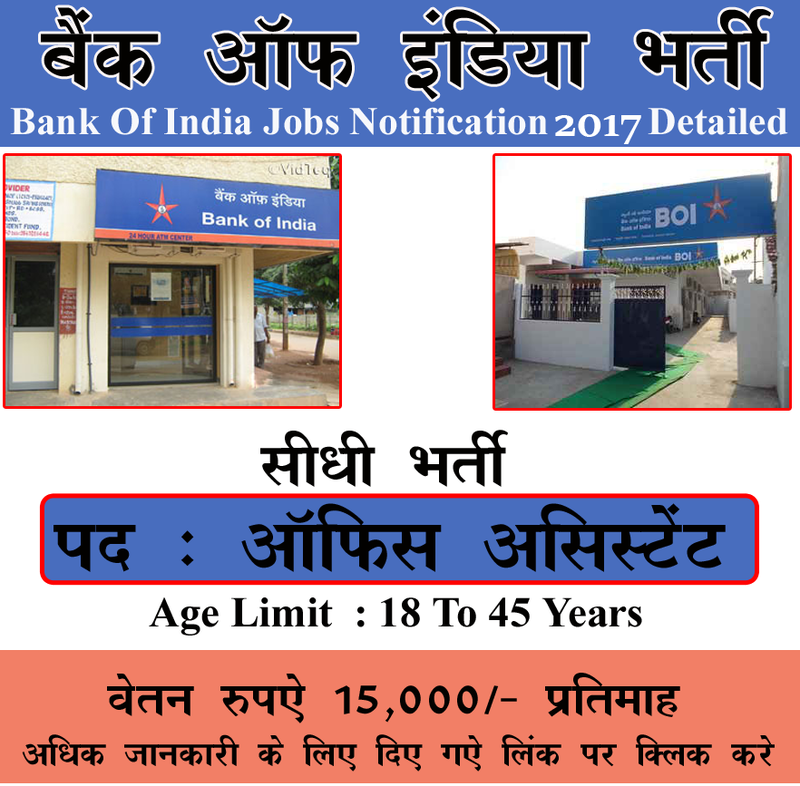 8000/- (Post 3)..
How To Apply: - All Eligible Student need to Download application Form through official website http://www.bankofindia.co.in . After Filling The application form, candidate Student must send hard copy of application along with relevant testimonials to the following Address before on the last date 15-03-2017. 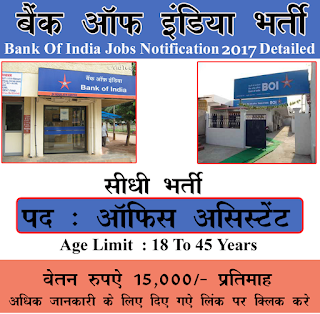 Address to send Form: -Bank Of India, Zonal Office, S.R. MANSION 2ND FLOOR, DHANBAD- 826001.